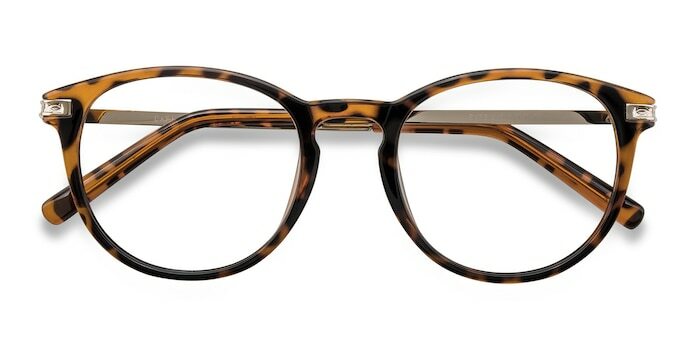 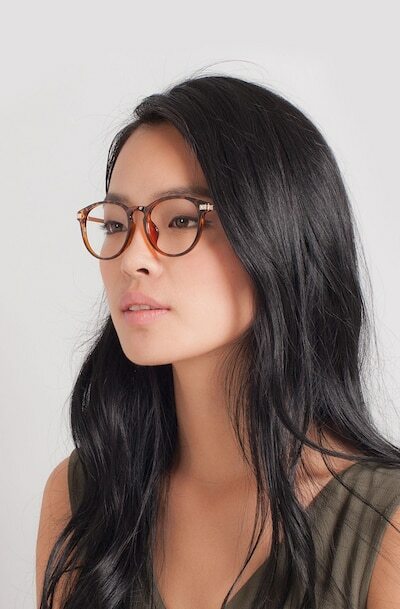 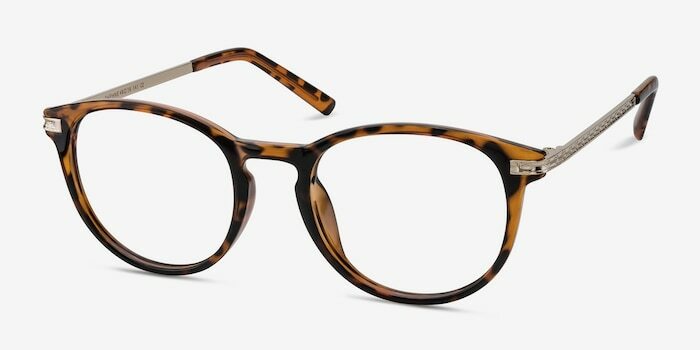 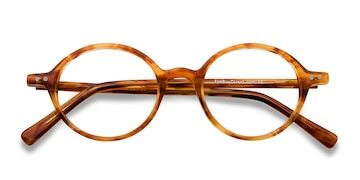 These tortoise eyeglasses are stylishly edgy and fashionable. 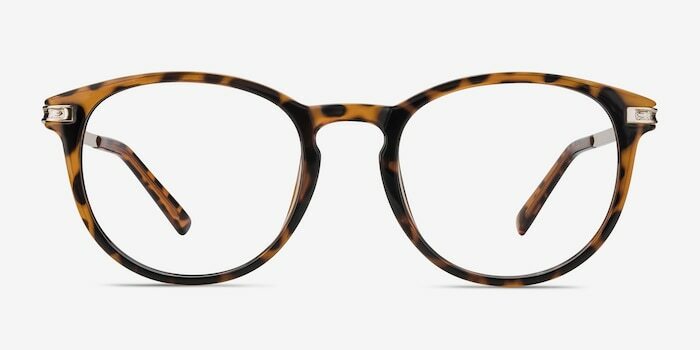 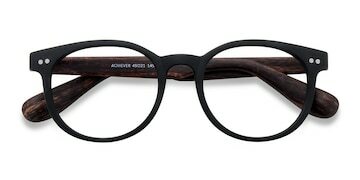 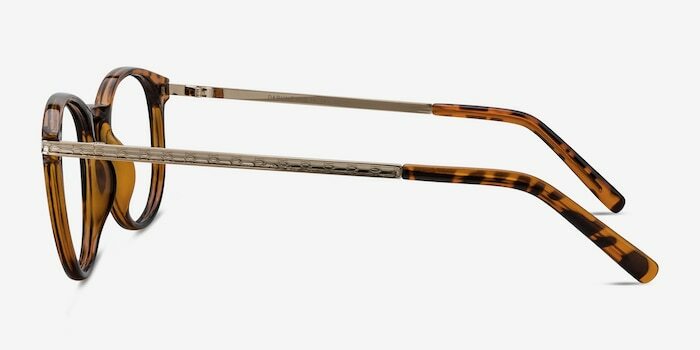 This eye-catching frame features a semi-transparent tortoiseshell finish in a perfectly rounded shape, combined with a keyhole nose bridge. 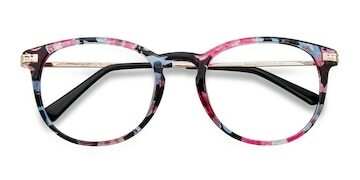 The etched metal temples, capped with plastic tips, perfectly complement this feminine look.